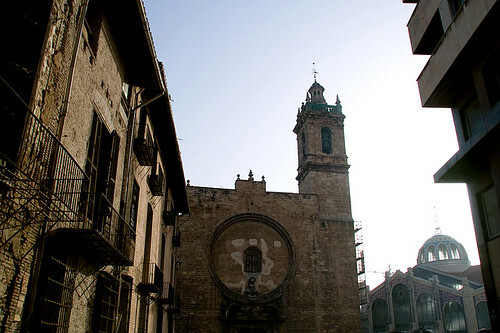 In the Plaza del Mercado, the Iglesia de los Santos Juanes (The Church of the Saint Johns) blends inconspicuously into its surroundings (location). This area of Valencia is awash in architectural highlights, including La Lonja and Mercado Central, and a tourist could be forgiven for passing over Los Santos Juanes completely. But doing so would be a mistake. In 1240, two years after the conquest of Valencia by King James’ Christian armies, the church was constructed on top of a mosque — following a pattern which took place throughout the city. During its long history, the chapel has suffered 3 devastating fires. The reconstructions, which took place in 14th Century, 1592, and 1936, are the reason for the church’s interesting blend of architectural styles, from a Gothic nave to Baroque sculptures. Before entering the church, it's worth taking a walk around its exterior. If you're coming from the Plaza del Mercado, the first highlight you'll notice is likely a gorgeous sculpture of the virgin of the rosary. Looking straight up from this statue, you can't miss the clock tower, adorned on either side by the two Saint Johns (I'm assuming John the Baptist, and John the Apostle). The weather vane is crowned with a bird, known the Bird of St. Joan. Legend holds that it watched over the children who had been abandoned in the marketplace. On the back side of the church, you'll find its most recognizable feature: the large, blind eye of Saint Joan. The vaguely sinister cement circle was conceived as a rose window, but has never been "opened". The blind eye is watching you... shiver! Time to go inside the church, where you won't be able to look left, right or up without encountering beautiful artwork. 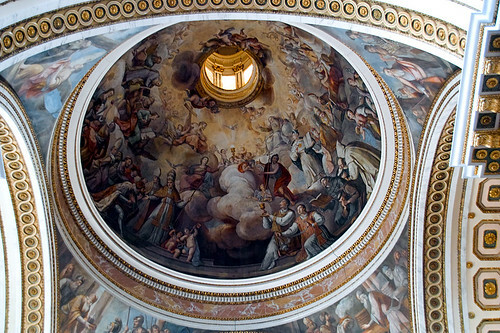 The frescoes and most of the painting inside the church was originally done by the artist Antonio Palomino, who was King Charles' court painter, and who also did work in Valencia's Basilica. Another artistic highlight is the larger-than-life statues which border the chapel walls, who are representatives of the twelve tribes of Israel. There's a smaller, secondary chapel through a door on the right-hand side of the church -- don't miss that. It's less ornate, but also beautiful, and contains two impressive statues. The church is only open to the public during services... usually every morning at 9:30 or so. Cavalia in Valencia from Valencia Blog on Vimeo. Here’s a video from Cavalia’s opening night, to get you even more excited about the show here in Valencia. Don’t forget that Hola Valencia is raffling off free tickets for the performance this Saturday evening. You still have a day to enter! 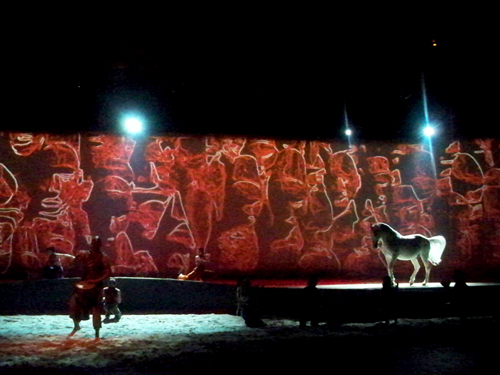 A few days ago, we previewed the huge new spectacular that plans on taking Valencia by hoof storm: Cavalia. That post had a… cynical tone, but last night we were lucky enough to be invited to the show’s opening performance. Suddenly, our snarky attitude has vanished. And though the Legolas lookalike is indeed dashing, the main attraction is the horses. These are majestic creatures, and you get a real sense of how powerful they are when you see large men doing flips on top of them. They’re fast, too — the stage was extremely long, allowing the animals to sprint across at full speed in some of the show’s most rousing action. 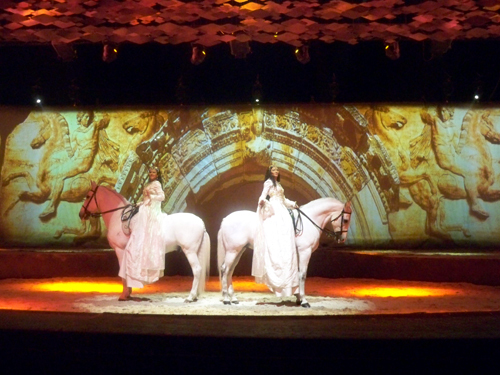 If you’re into horses, we can definitely recommend Cavalia. You’ll love it. And if you want to go, you might be in luck! 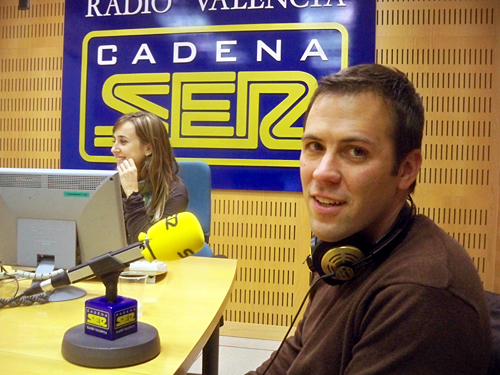 We’ve been given some extra tickets to share with the readers of HolaValencia.net. We’re raffling off 8 tickets for Saturday evening’s performance (Nov. 29th at 9pm). It’s not El Gordo, but still pretty cool! If you want to take part, just send an email to mail-AT-holavalencia.net with the answer to the question below. Four winners will be chosen at random from the correct answers on Friday morning, and receive two tickets apiece. The Question: How long does it take to train a horse for Cavalia? El Gordo, the “big one”, is the most important prize in the Spanish Christmas Lottery — the largest lottery in the world. This year, there’s €2.3 billion in prizes (about 3 billion dollars). There’s a word for that: CRAZY. Also: EXCITING. Roughly 18% of participants stand a chance at winning something, which ain’t bad odds. There are a limited amount of tickets; in 2006 there were 85,000 numbers. At €200, tickets are expensive, so they’re also sold in décimos at €20 apiece. If you hold a décimo of a winning number, you get 10%. Each lottery outlet only sells one or two numbers, so it’s very common for a large number of people from the same community to win. Many Spaniards buy tickets from their favorite bar… and if you win, the joy is multiplied. The only thing better than being suddenly richer is for all of your friends and neighbors to be suddenly richer, as well. I’ve read that 98% of Spaniards have some sort of stake in El Gordo, and the average amount invested is over €70. This helps explain the hugeness of the pot. 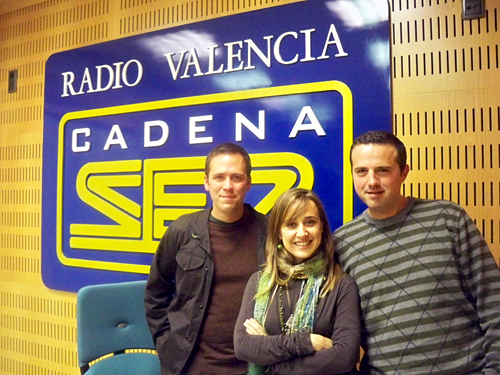 It’s very common to give Gordo tickets as Christmas presents here in Spain. We’ll probably be buying ours later this week… Generally, I’m not a big lottery-fan (not that I eschew gambling), but I can’t deny that I’m extremely excited about El Gordo. The draw is on Dec. 22nd and best of all: winnings are tax-free.